Zivanai Matangi, Thusi Vukani, Senzo Bongwana, Sparks Napoli, Mantala Nkoatse and Stephen Hobbs. The Johannesburg Development Agency’s Art My Jozi Project implements functional public art enhancements and facilities in strategic public places in key nodes along the City’s transit corridors. 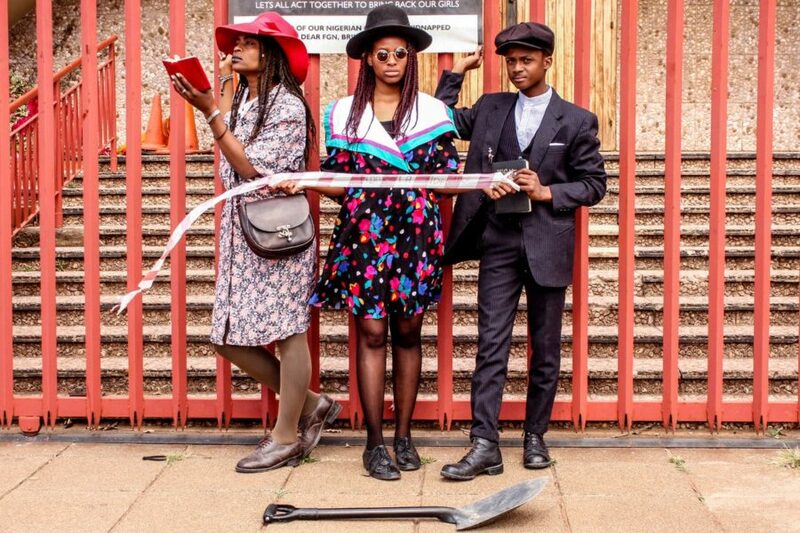 Executed under the oversight and funding of the City’s Development Planning Department, the Art My Jozi documentary team, known as the Creative Crew, engages in an ongoing programme of workshops, events and installations – exploring creative place-making through community participation and co-production. Urban Chemistry, an exhibition on view at David Krut Projects New York, draws on the interpretive eye of the Creative Crew as they examine the precarious social conditions and ambiguous spaces found between the more traditionally designated outlines of city-commissioned urban transformation. This exhibition comprises photography, film and public performance works – excavating alternative vantage points that explore the tension between social and political rights of access, emerging creative micro economies, and the power of the performative to activate space and unearth history and memory. Stephen Hobbs, visual artist and Director of a public art production organization The Trinity Session, has been instrumental in guiding the curation and implementation of the Art My Jozi programme and will present a series of his own photographic works that reflect on urban defensiveness and what might be perceived as an increasing distrust of public life in our neighbourhoods.